It’s days like these that make this Crusade all the more rewarding. 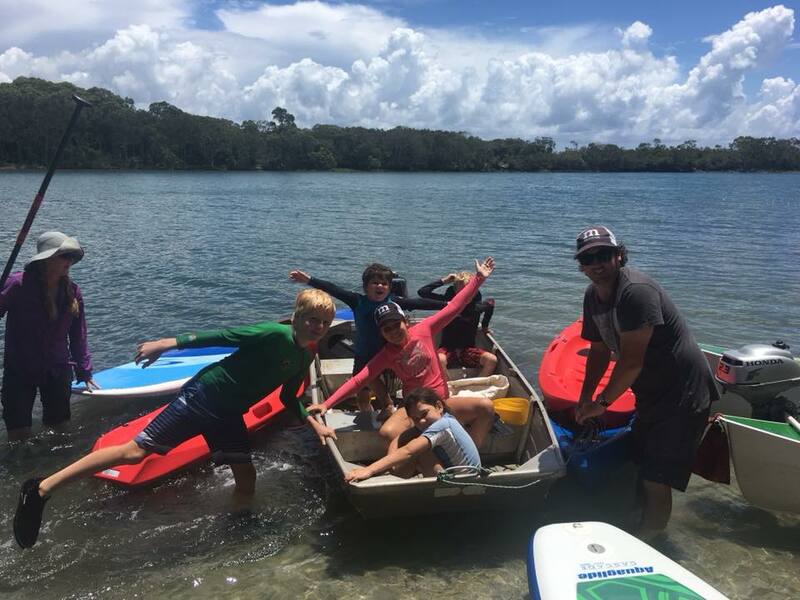 The Currimundi Lake Community Clean up was part of a sponsorship with Unitywater & Sunshine Coast Region Council. It was an event designed to get all the local community groups together, along with the community, to clean up Currimundi Lake on Queensland’s Sunshine Coast. In my wildest dreams, the event would turn out like it did. When I first contacted all the local community groups to run the idea past them, the response was outstanding. Everyone was ‘how can we help, what can we do?’ It was fantastic. You see our industry is wrought with groups that want to do everything themselves and refuse to work with others towards a common goal. So with this response, I was stoked and we set about organising the event. Initially we had planned to have the even in October however the boat ramp was being repaired which meant a delay until November. 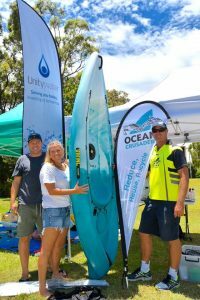 Unitywater is a sponsor of our Paddle Against Plastic Campaign and came on board with this idea. 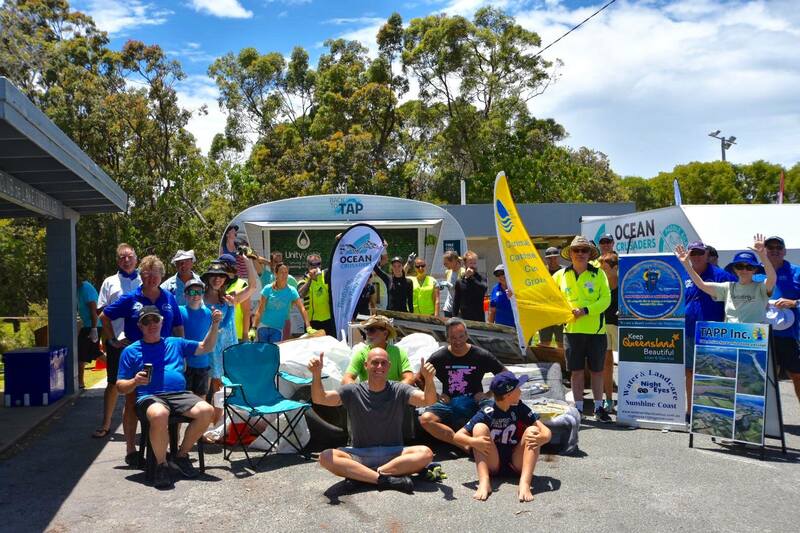 The Ocean Crusaders team would run the paddling event component with other groups covering other areas. 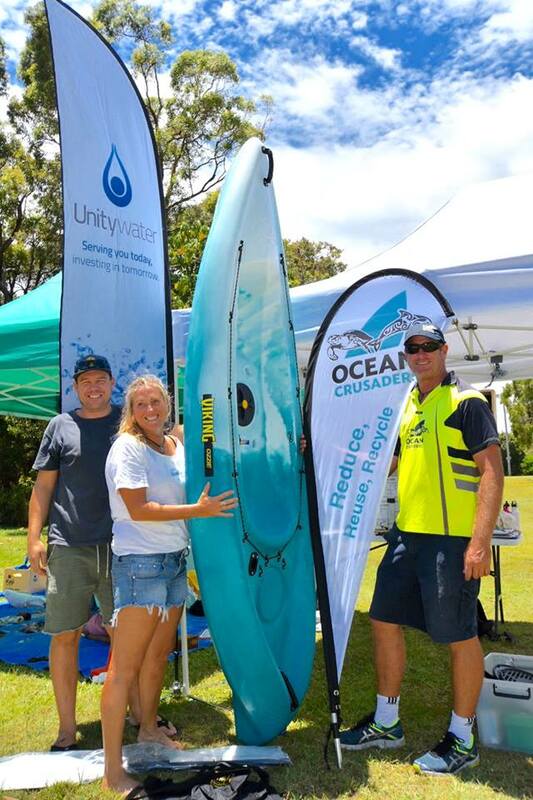 Unitywater provided their ‘Back to Tap’ van and a free stainless steel water bottle to every body involved. The message of the event was quite clear and that is that we need to get away from single use plastics and get back to tap for our drinking water. We regularly clean the lake and other inland waterways of the Sunshine Coast for the council. So when we put forward the plan to run this event to their grants team, they came forward with support to buy some extra equipment for our events. 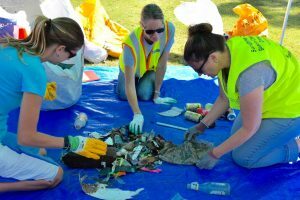 The Sunshine Coast Council really is a very proactive council when it comes to ensuring the beaches and waterways are clean. We were stoked to have them on board and Gordon and Peter from the council even bought their boat out on the day to lend a hand. In the lead up to the event our friends at Hot FM 91.1 did an amazing job of promoting the event for us with news feeds and a short advert playing. To encourage more people to attend, Mike from the OC team rounded up an $800 kayak from Viking Kayak & SUP in Warana. This would be given away to one lucky volunteer which ended up being Alicia Wyer who came down early to give us a hand. She was rather happy with her win and I reckon that kayak is going to get a lot of use. Other incentives came from Surf Dive’n Ski who gave every volunteer a 30% discount mates rates card, SurfSock gave away 4 of their cool socks to help you get your wetsuits on and then there was a great BBQ to end it all with sausages courtesy of Swain Family Meats and bread from Bakers Delight. The most fun was had courtesy of Kitethrills who supplied us with a heap of kayaks and SUP’s for the public to go and enjoy, and enjoy they did. Lots of first timers and plenty of smiles. The weather leading up to the event, and even the forecast for the day were quite ordinary with lots of rain expected. So when we arrived at the lake to clearing skies, we thanked our lucky stars. The different groups were already setting up and the back to tap van arrived with us. 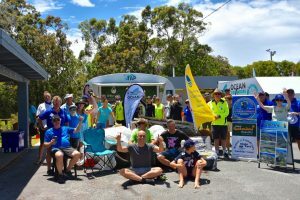 The groups involved were Currimundi Catchment Care group who regularly complete cleaning of the banks and weeding programs. 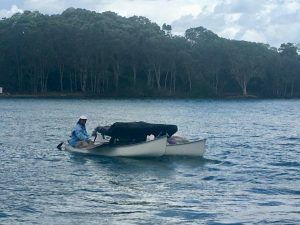 Friends of Currimundi who many of which also were part of the Turtle Group that regularly take care of turtle nests along the shore, Nighteyes came up from Pelican Waters with their boat. We regularly see their team out cleaning the debris from the waters of Pumicestone passage and Pelican Waters. Take Action for Pumicestone Passage came down to promote their efforts look after the passage, Surfrider brought a heap of paddlers down to join in and then a joint effort between Envirocom and Tangaroa Blue ensured all the debris was weighed and counted, with data heading to the Australian Marine Debris Initiative Database where we can work on source reduction schemes by knowing what it is we are removing. 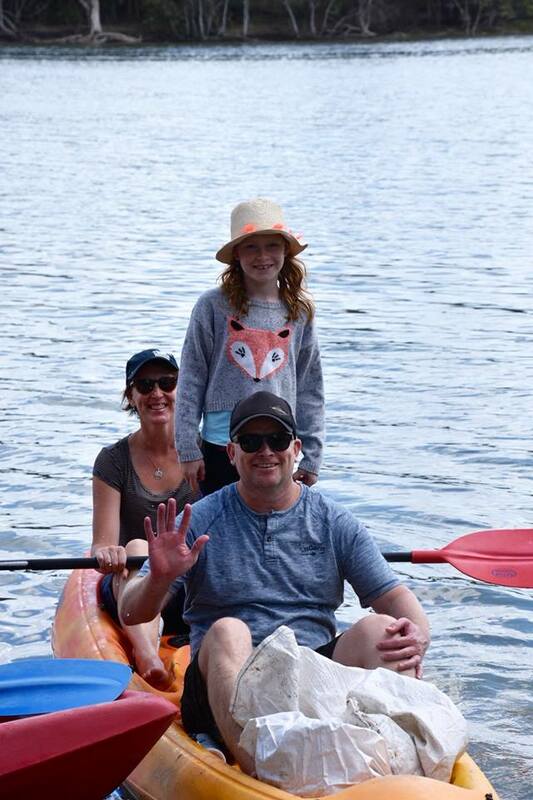 By the time registration started, the sun was shining and eager members of the community came and walked the banks, hit the waters on kayaks and sups and a few boats headed out. Slowly the debris started to return with lots of stories to be told and happy faces. The common theme amongst all was the amount of tiny pieces that were removed. Tiny pieces of plastic are washed into the system from the drains and with the recent rains, they were in abundance. Our pile of debris was slowly building and the sort was on, then I get a phone call from Paul in our boat saying the mother-load is coming. 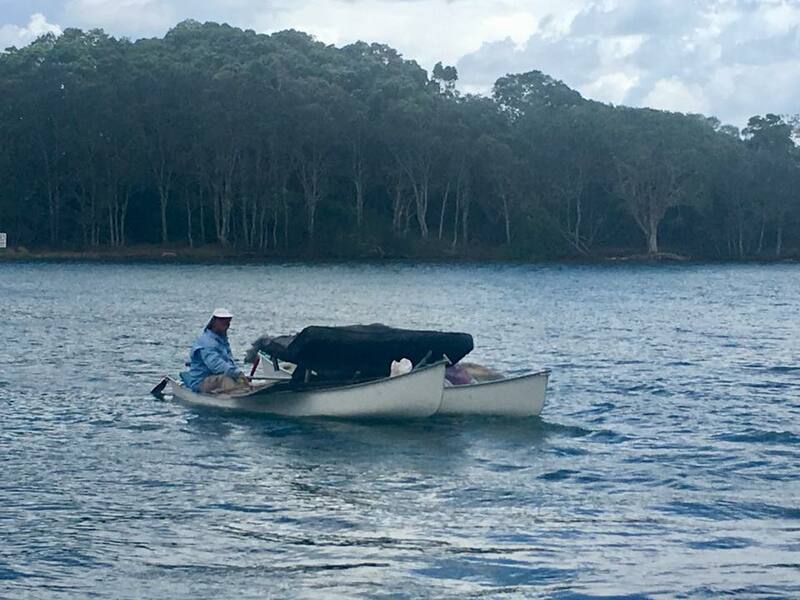 Soon after the team from Nighteyes returned with a boat full of tables and chairs with a message they had found an abandoned campsite up one of the inlets. They couldn’t fit it all in so they had sent Paul and Mark on his ‘Canoemaran’ in to get the rest. Seeing two canoes tied together with a couch between them is a rare site but it wasn’t new to me. 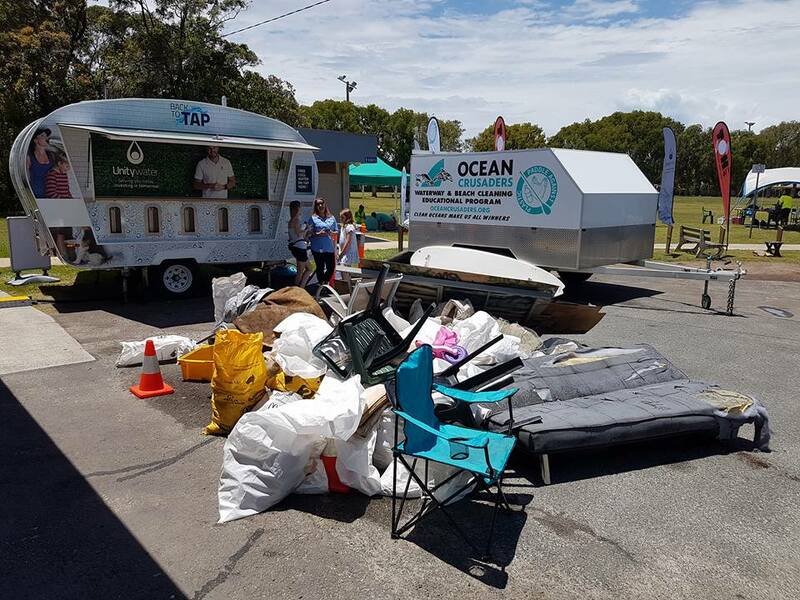 Mark and Maura had pulled a couch out in our Mooloolaba River Clean up a month earlier. To keep the streak going, here was Mark with a couch once again. So our pile of rubbish went from good to great in size, however whilst it looked impressive, we must remember that this is a sad state that we have to go and remove it in the first place. The final piece of the puzzle was a park bench that had somehow made it’s way into the bushes beside the park. It was very old but still being used and all around the seat you could see damaged bushland. The team at Friends of Currimundi had seen it on previous weeding adventures so 4 strong people went in and pulled it out. As the pile was photographed and the group photo taken, Andy was keenly cooking the BBQ and the sausages and refreshments went down a treat. It really was a very positive day with everyone happy with their efforts. Whilst a lot of people will look at the numbers (107 people removing 647kg of debris, I really look at one thing as the highlight for me, and that was the success of all the community groups working together for one cause. It was fantastic to see everyone so happy and supportive of each other. That was hugely rewarding for me as the main organiser as it was one of my missions. Check out the photo gallery below to see all the smiles and debris.